GN Solids Control will be exhibited in Global Petroleum Show the GPS show in Calgary Canada this June 12-14th. Ths GPS show is one of the largest Oil and Gas Equipment and Technology show in Canada. It will be hosted in Calgary every year and welcome clients from many different countries to be at Calgary and trying to find out what is the next step for creating business and industry direction for the Canadian market. Even though the industry is still not at its upturn, GN still presented its strength in the Canadian market and demonstrated its latest technology and products. So far we have been creating more and more sales opportunities in Canada with our top tier equipment and customer centered client services team. We have earned many good words for our GN Brand. Even when most of Chinese companies having a failed sales market in Canada, GN remains one of the top players in the market for solids control and waste management equipment. GN will be showing our brand new Centrifugal pumps and our vacuum pump along with our shaker screens in the show. 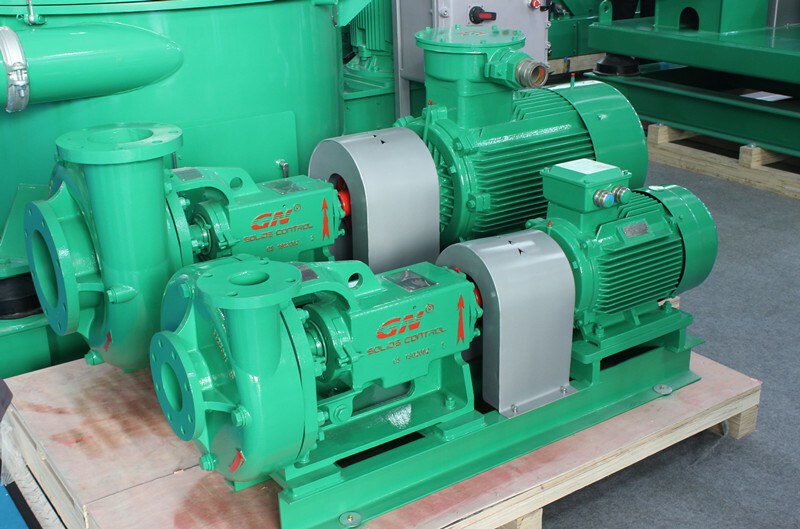 There are many highlights about the equipment: our centrifugal pumps are 100% interchangeable with NOV magnum pump. We are keeping a good number of them in stock at our Houston warehouse. 40A Vacuum Pump is one of the new members of our product line. It is a perfect solution for oil sludge treatment transportation from oil tank or mud pit into the treatment system. With powerful suctions and no electric components. It can be used in many difficult location and situations . Oil and Gas Industry is changing its pace every year, from conventional drilling to unconventional drilling to pad drilling. So the industry traditional mud recycling system is gradually replaced by automatic, systematic and close-looped mud recycling system. More drilling contractors have equipped cutting dryers with their mud processing system. The cutting dryer can meet the environmental requirement and recover and recycle more material for reuse. Today let’s get to know one of our key equipment which is our cutting dryer. It works in both Drilling waste management and flowline management system, and show great work performance. There are two types of cutting dryer, fixed speed and VFD. GN can manufacture them suitable for different customer’s requirements and service them after sales. The screen bowl’s maximum diameter is 930mm. And there are three different kind of screens for your choice, 250 micron, 350 micron and 500 micron. The handling capacity is 30 to 50 tons per hour. Tungsten carbide protect the flights on the rotor from abrasive solids and ensure longer operation life. The special design of high pressure air knife can clean the basket screen automatically and easily, and avoid the screen to be blinded by the viscosity mud and water based mud. The flushing system with specially designed nozzles around the body of cutting dryer can avoid the liquid discharge channel being blocked by sediments. The lubrication system is electrically interlocked with the main motor starter to prevent machine operation in the event of low or no oil pressure to the gearbox. The VFD control panel can facilitate soft starting, fingertip control of the VFD system can change the motor speed and thus the G force can be changed to the working conditions. The VFD system is made by ABB or SIEMENS and it is explosive proof.